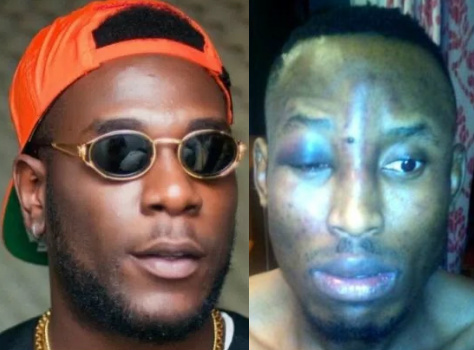 Robbery survivor Abinye David Jumbo aka Mr 2Kay, has broken his silence on the robbery incident and alleged involvement of Damini Ogulu aka Burna Boy. “The arrested suspects confessed that Burna Boy contracted them through a third party to teach Mr. 2Kay a lesson because he granted HipTV an interview, where he corrected Burna Boy for saying negative things about Nigerian pastors. “His father was at the station yesterday (Monday), so Burnaboy just has to appear at the station to clarify himself”. THROW THE THUG BEHIND BARS..SUCH THREAT SHOULD BE TAKEN SERIOUSLY AND THANK GOD U SURVIVED THE BEATING.